You are here: Home>Places>Schools>Clarendon School>A trampolining Bryn Jones, ex-Watford F.C. 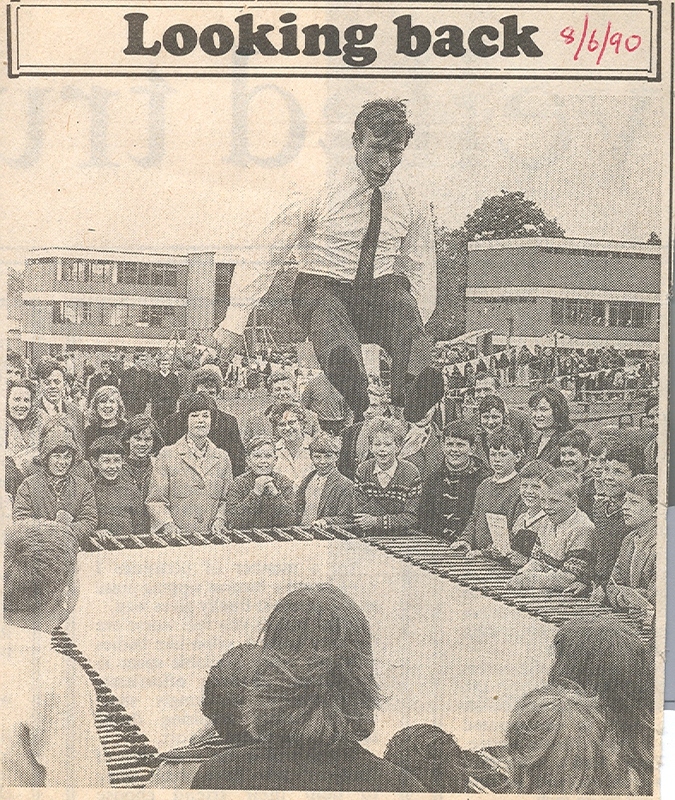 Formed Watford footballer Bryn Jones impressed the young crowd with his trampolining prowess at Clarendon School Fair on May 29th, 1965. Hundreds of parents and children turned out to see him and get the Welshman’s autograph. The day’s programme included children dancing and international wrestling. Yes I remember the wrestling at then Clarendon School ..yet it was Johnny Kwango .. famous for his head butts .. the ref asked people not to throw things in the ring , and Johnny Kwango shouted ..only pound notes .. Mick McMichael was top of the bill I recall .good times . I was there watched the wrestling Jonnie Wgango wrestler there from tv world of sport plus sat afternoon wrestling. Wrestling took place in the bottom playground, by the youth wing ( what a place that was…) Lou Marco (famous TV referee) was there one year, and several almost famous wrestlers put on a great but fixed show.Slightly better than the wrestling were the tug of war contests-huge men taking things very seriously.